Over the past 40 years of ministry, I have had many people think that they were in the bottom of the pit from which they could see no light, or deep in a tunnel and could not see the light at either end. Scripture tells us that God came to bring light to those who are living in darkness (those who dwell in darkness have seen a great light.) Recently my son and I made a trip to Madison, Tennessee. 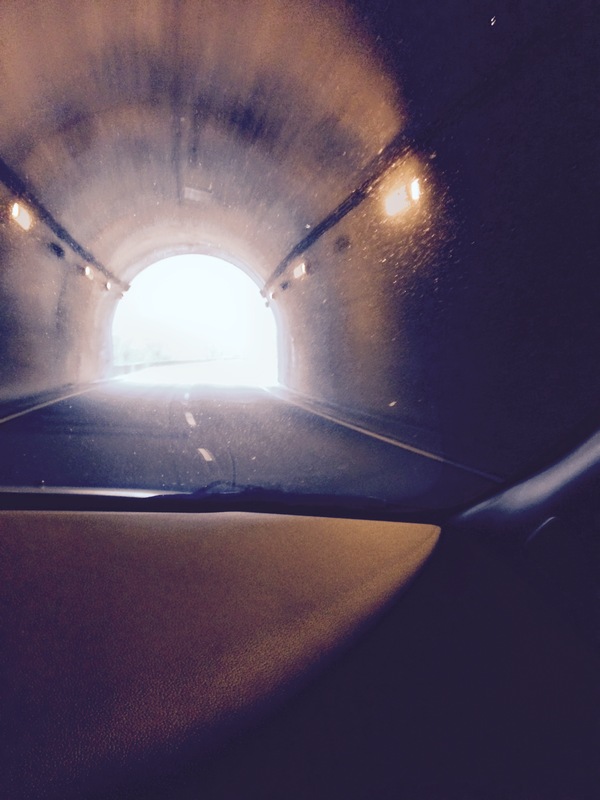 On that trip we had to go through a tunnel – really two tunnels. And I don’t like tunnels. As we were going to this tunnel I took this picture. It proves, at least to me, there is light at the end of a tunnel. If we are sensitive at all, we have probably been brought to the bottom of the pit by the hurtful words and condemnation of others. If we have lived life in the real world, things have happened which pushed us into the pit– from which we could not see any light. Days happen to all of us where something comes along and punches us right in the nose. We also think this is a blow from which we will never recover. This time the mistake is so bad, so real, so binding that I will never find my way to the right path. I can’t help but think of those 21 Coptic Christians who were beheaded by Isis simply because they were Christians who stood up and would not deny their faith. I look at this line of men marching across the desert and I wonder what they must be thinking as they are walking toward their own death. They force me to ask myself “do I have that kind of faith?” Certainly for them there was no light in their pit – no light at the end of the tunnel. At least no light the world gives – it must have been the light that God gives – the light that helps us to see Christ even in the midst of the most terrible tragedy – the most unspeakable horror – the most unreal circumstance. These men, moments away from death, knew that Christ was with them and that in their death nothing would be lost. Whatever we may be facing we need to know that the light of Christ shines upon us. We need to know that there is light at the end of the tunnel. We need to know that Christ will never forsake us or abandon us no matter what! Feel the embrace of God. Experience the warmth of God’s grace. And walk in the path that leads to light. I have published three new books which are listed at the bottom of the header above. If you would like to take the time to click on each title and read a sample chapter, I would be very grateful. The Sayings of Noah is a sermon series I wrote for Lent which came from the sayings my grandson, Noah, made around the time he was four years old. It is a lite Lenten approach. The Daily Moments with Pastor Steve are daily devotionals. And the Grieving Heart is a collection of uplifting funeral homilies I have given over the years. I hope you will enjoy reading these and even more I hope they will help you help others.